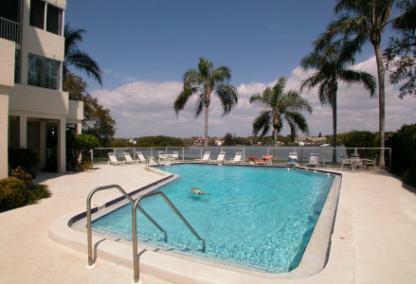 Siesta Harbor is an “Old Florida” style condominium on Siesta Key. Favorably located on the Intracoastal Waterway, Siesta Harbor consists of several mid-rise buildings on the breathtaking Sarasota Bay with its own private sailboat canal. While this condominium is a fifty-five and over community, the property does allow some younger residents. The bylaws state that up to twenty-percent of owners can be under the age of fifty-five. 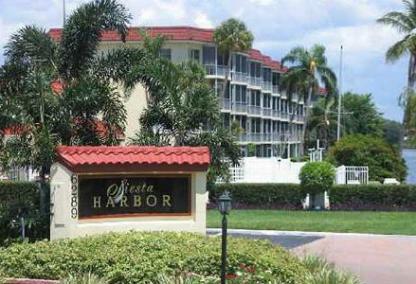 Siesta Harbor is also a popular choice among investors. Buyers appreciate the on-site leasing office and thirty-day minimum rental policy, which allows owners to rent their units up to twelve times per year. 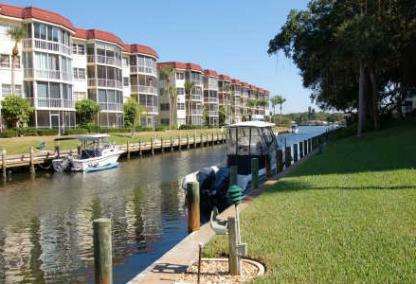 Built in 1969, Siesta Harbor has a total of 222 waterfront condos. Many of the units in Siesta Harbor underwent massive renovations in recent years and include fantastic upgrades such as stainless steel appliances, granite countertops, and high-end finishes. Floor plans include spacious one, two, and three-bedroom apartments ranging from 780 to 2,000 square feet with screened or grass enclosed lanais overlooking the private canal. Residents and guests enjoy the beautifully manicured and lush landscaping, complete with a private lagoon and boat dockage. Additional amenities include direct access to the Intracoastal Waterway, direct access to Siesta Key Beach, a large heated pool, hot tub, spa, sauna, billiard room, assigned covered parking, shuffleboard court, barbeque areas, exercise room, library, and elevator. The community clubhouse also provides a large screen and hosts many community activities. Siesta Harbor, located on the island’s main throughway, Midnight Pass Road, resides directly across the street from one of America’s most beautiful beach, Siesta Key Beach. The Public Beach is consistently ranked as one of the top ten most beautiful beaches in the world, for its near flawless appearance, ninety-nine percent quartz sand, and crystal blue Gulf of Mexico waters. The facility has many amenities including courts for volleyball, basketball, tennis, shaded playground, nature trails, pavilion, concessions stands, barbeque grills and picnic areas. Siesta Harbor is in close to two commercial districts on the island, the Crescent Beach Market and the Siesta Key Village. The Crescent Beach Market provides a selection of restaurants and shops as well as a grocery, post office and pharmacy. Just a short drive north, the Village offers a variety of restaurants and boutiques. The mainland is accessible within minutes via the south or north bridges. Within a short twenty-minute drive, residents and guests may visit the sophisticated downtown Sarasota, St Armand’s Circle and Lido Key.